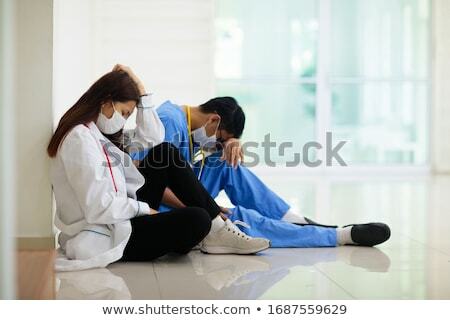 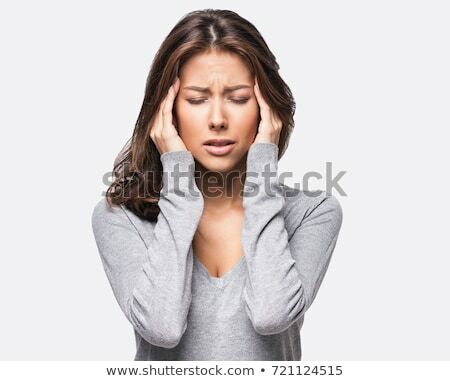 Stock photo: Migraine and headache people - Doctor stressed. 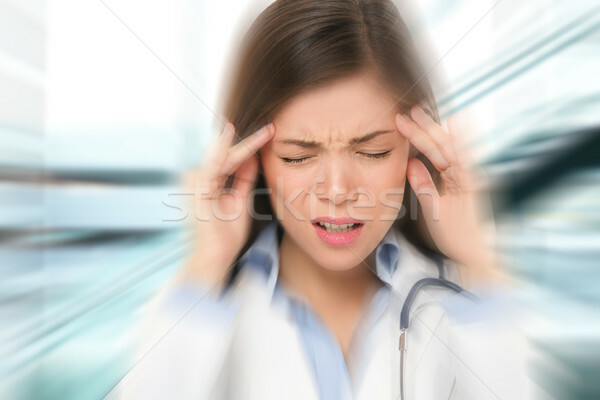 Woman Nurse / doctor with migraine headache overworked and stressed. 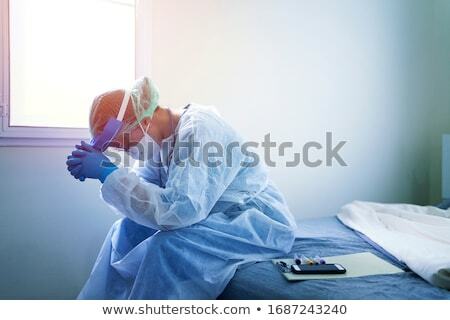 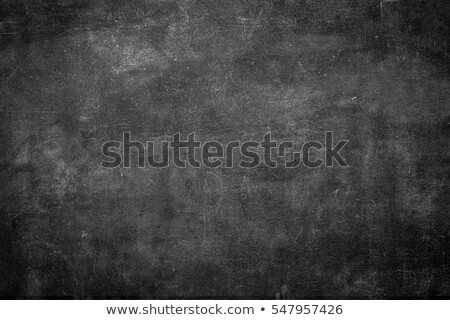 Health care professional in lab coat wearing stethoscope at hospital.